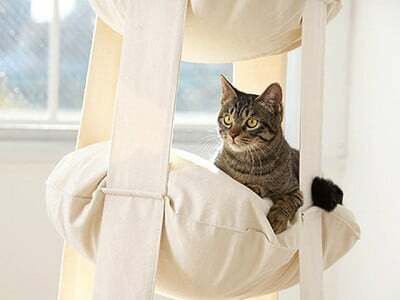 Cats like to perch in high places. It’s instinct. Their ancestors depended on vantage points of view for survival. 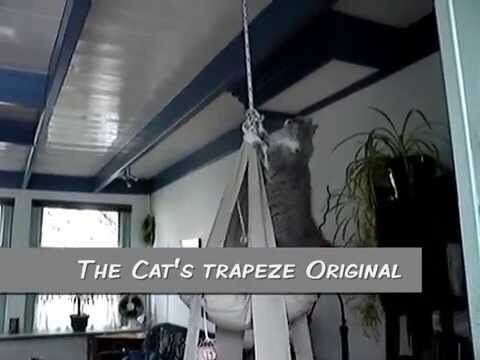 The Trapeze allows this while also giving your little leopards a modern and comfy place to rest. 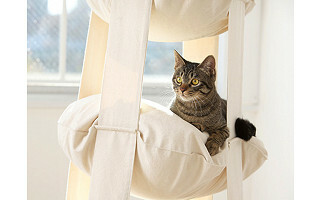 The pillow are washable, unlike most carpeted cat trees. My cats like to rest on the pillow and observe the humans and dogs under them. Cats are a bit particular about their surroundings and this gives them a place to be aloof and comfortable. Just like the King of the Jungle should be.